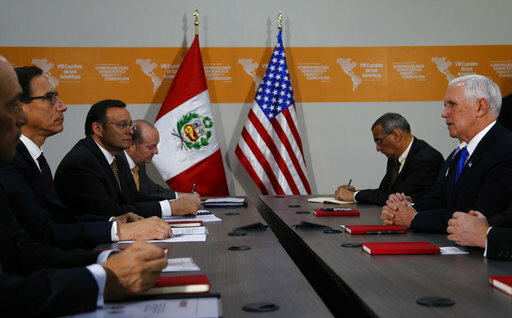 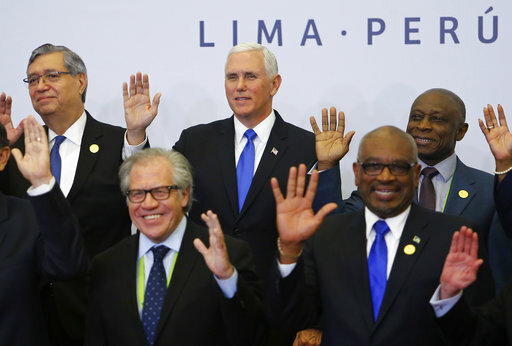 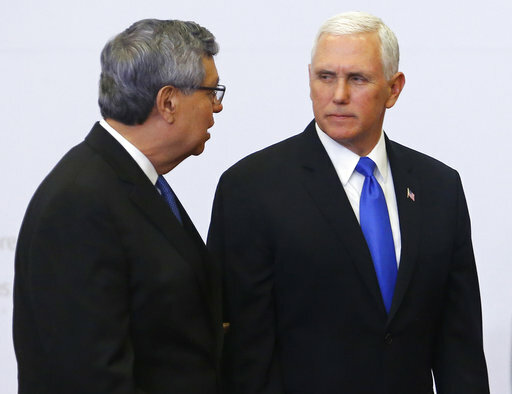 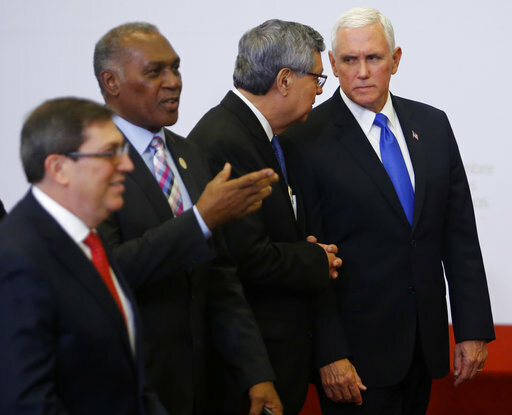 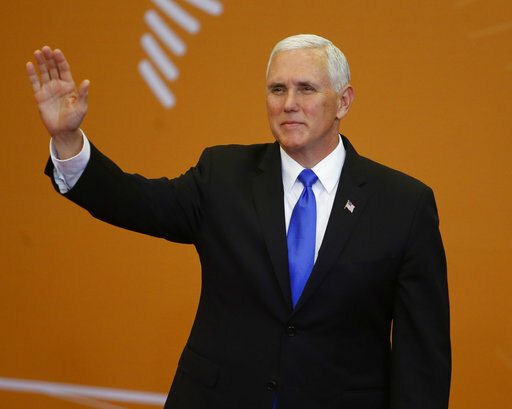 LIMA, Peru (AP) — Thousands of miles from home, Vice President Mike Pence was thrust into a new, more immediate, role on the world stage Saturday: explaining President Donald Trump's military strike in Syria to a summit of Latin America leaders. 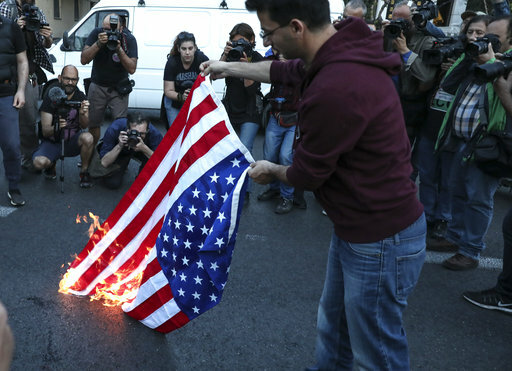 Hours after Trump hailed the missile strike targeting the Syria's suspected chemical weapons — tweeting, "Mission Accomplished!" 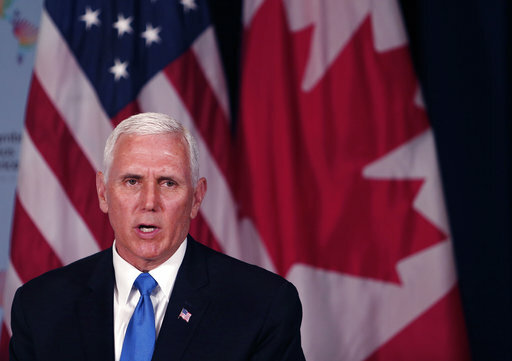 — Pence defended the president while building support among U.S. allies for the joint strikes with Britain and France. 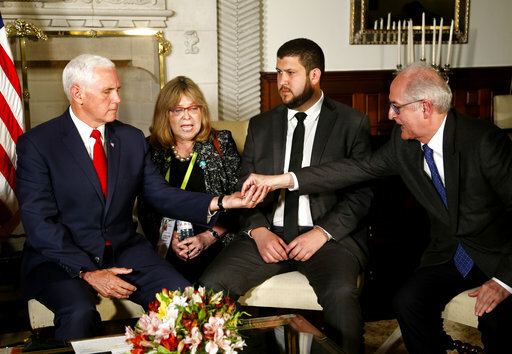 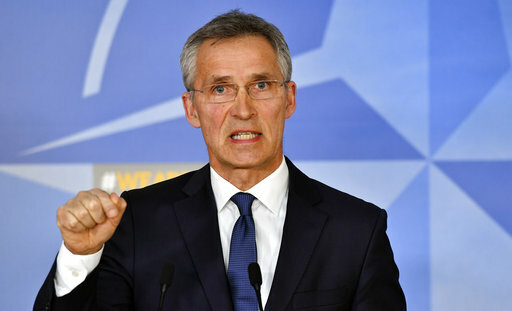 "The objective of the mission the commander in chief gave our military forces and our allies was completely accomplished — with swift professionalism," Pence told reporters, noting there were "no reported civilian casualties." 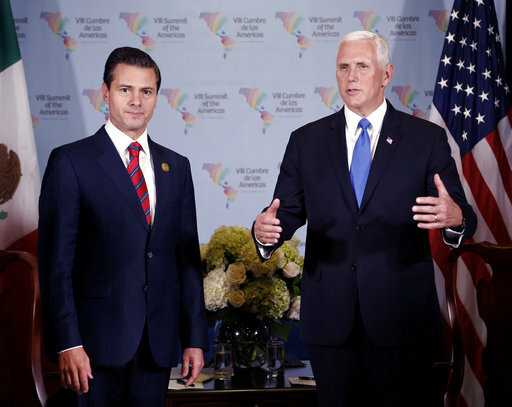 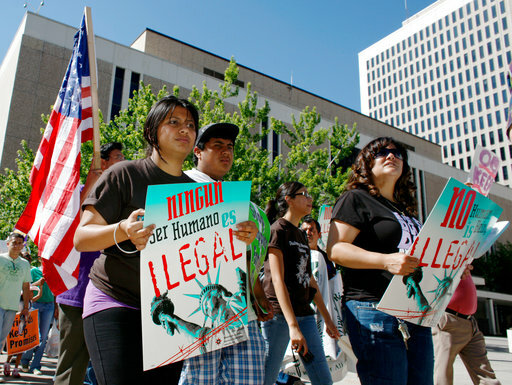 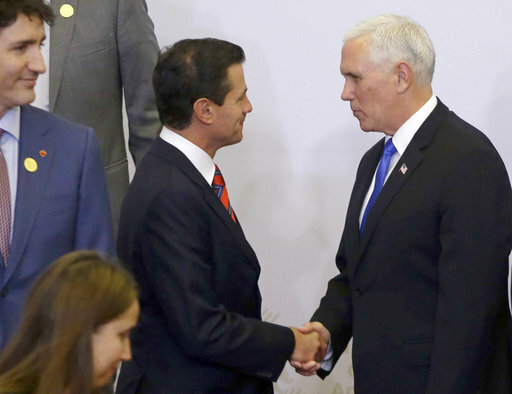 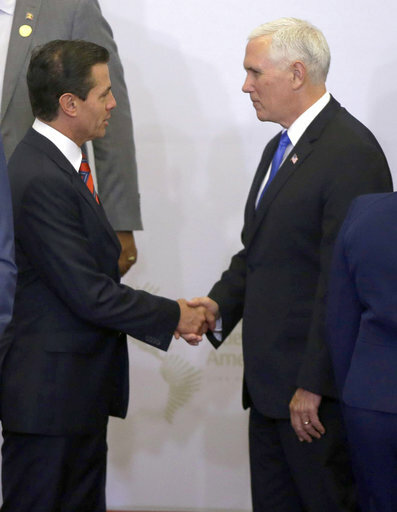 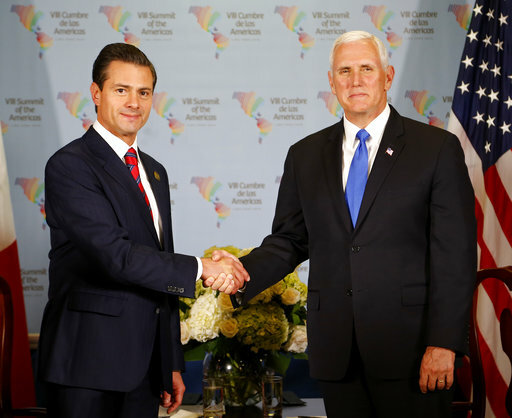 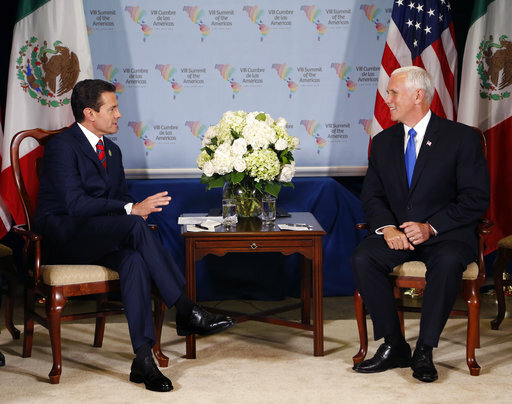 Pence's to-do list included smoothing over differences with Mexico, America's southern neighbor, amid unease over Trump's decision to send troops to the border and harsh rhetoric on immigration. 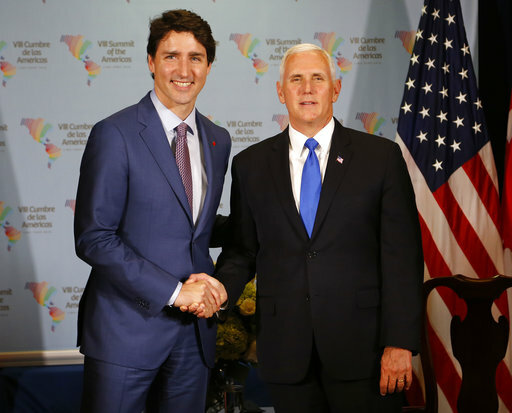 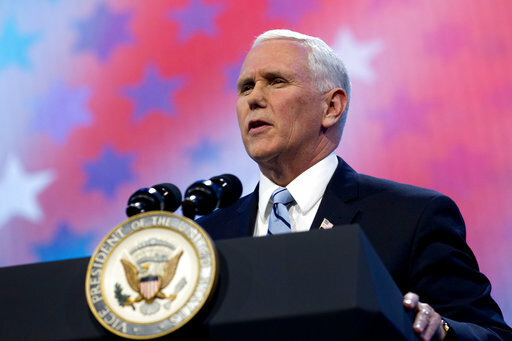 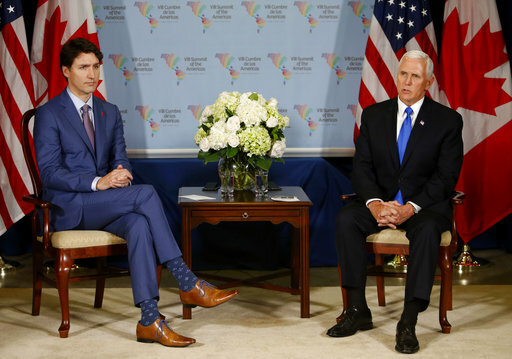 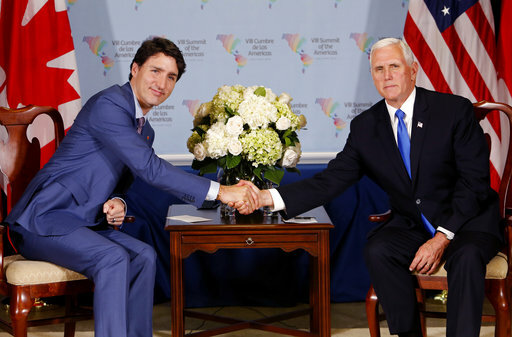 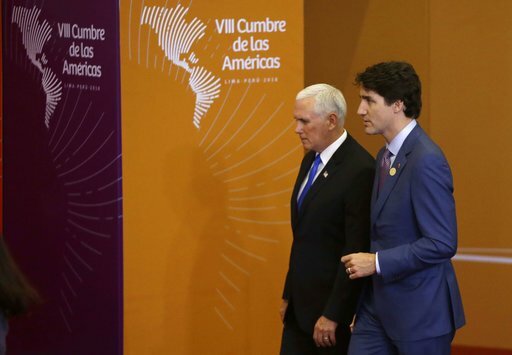 And with tensions simmering over trade, Pence expressed hope alongside Canadian Prime Minister Justin Trudeau that the three nations could soon agree to a renegotiated North American Free Trade Agreement. 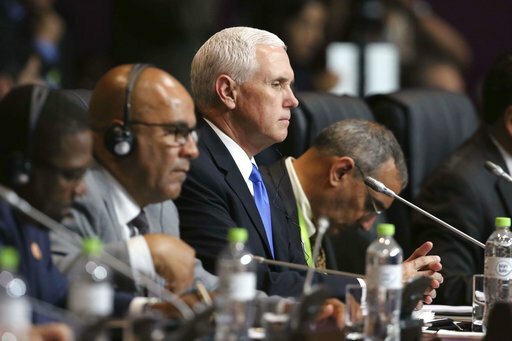 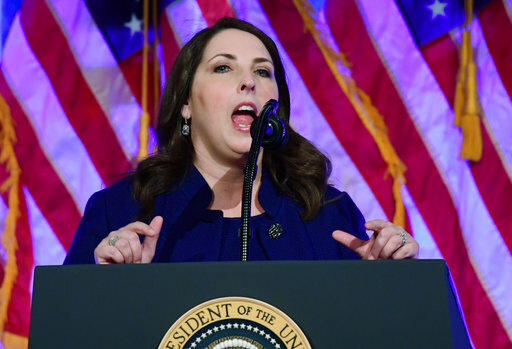 Unlike past appearances at international summits, the vice president had to dive into the packed agenda on short notice. 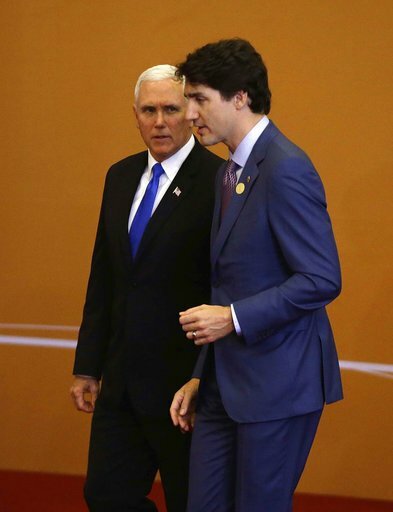 He learned only Tuesday that he would be attending in Trump's place so the president could manage the U.S. response to Syria.